James Joyce Irish Pub and Restaurant is a Irish, Gluten Free, and Breakfast restaurant where most Menuism users came for a family meal, paid between $10 and $25, and tipped between 15% to 18%. 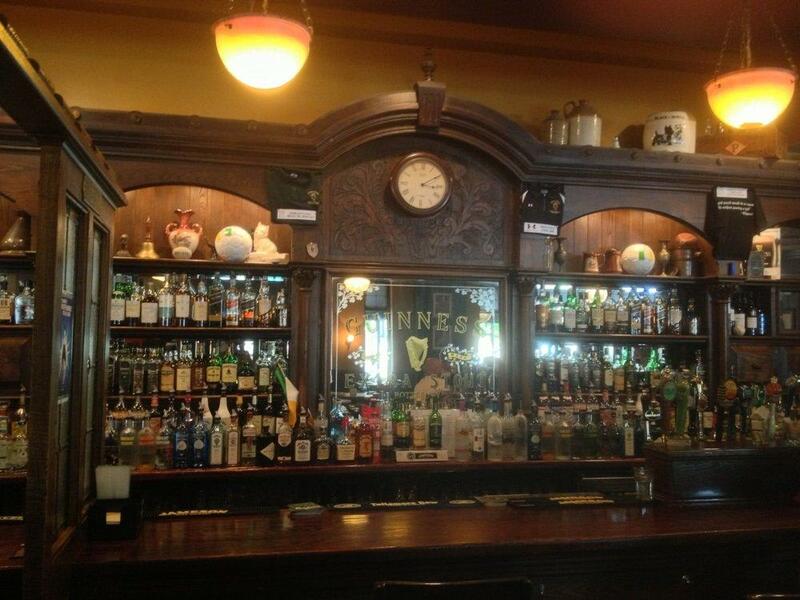 1 review of James Joyce Irish Pub and Restaurant, first by PandaLHU. My Husband and I ventured down to Harbor East this weekend to check out the new Landmark Movie Theater (we saw Get Smart- very funny) and get a bite to eat at James Joyce Irish Pub and Restaurant. The weather was perfect and it was a great day. So before the movie we walked around Harbor East and went to eat at James Joyce Pub. As we entered the pub I was intrigued to find out that was designed and built in Ireland and then shipped over here to Baltimore in the fall of 2002. 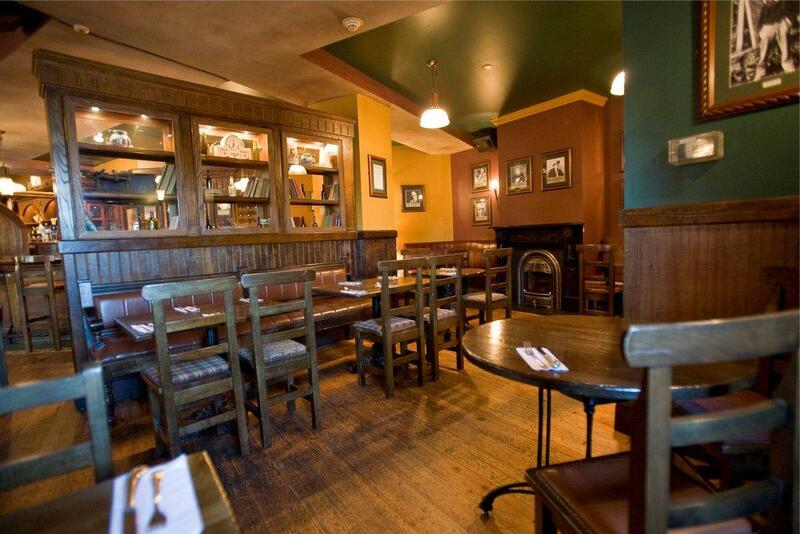 The pub is named after the famous Irish poet and author (Ulysses and Finnegans Wake). They have live music about 5 days a week form 9 pm – 1:30 am. The inside of the restaurant has a nice Irish atmosphere with a family setting. The section we sat in had high tables with high benches and chairs. The walls are adorned in Irish artwork and pieces. We started with a cup of the Irish Potato Soup (Cup $3.25) – pureed potatoes, onions and leeks cooked in a chicken stock. The flavor was perfect as was the texture. I didn’t find any component of the soup to be over powering- the marriage of ingredients was perfect. For my entrée I had the Beer Battered Sausage and “Chips” ($11.95)- traditional Irish Bangers lightly battered then deep fried and served with french fries and baked beans. I was a bit leery of the fact that the sausage was beer batter and fried but once I bite into it all my reservations dissolved away. It was wonderful. The sausage was sweet and the batter gave a perfect crunch to it that added to the taste. The fries were perfectly cooked. The baked beans were very sweet and runny (I prefer my baked beans not as sweet and thicker) but the taste was average. They served it with malt vinegar and ketchup. Now I add vinegar to my “Fish and Chips” so I was unsure as to add it to the sausage or not. I tired a few bites with it and it was good. My Husband had the Beef and Guinness Stew ($13.95) – pieces of beef braised in Guinness stock with diced carrots, onion, leek and celery and was served over traditional champ potatoes. The pieces of meat were tender and very plentiful. The consistency of the stew was perfect and not overly thick or runny. The serving was pretty big but he finished every last drop. They are participating in Baltimore Summer Restaurant Week 2008 and have their menu already posted on their website. pureed potatoes, onions and leeks cooked in a chicken stock. The flavor was perfect as was the texture. I didn’t find any component of the soup to be over powering- the marriage of ingredients was perfect. Beer Battered Sausage and "Chips"
traditional Irish Bangers lightly battered then deep fried and served with french fries and baked beans. I was a bit leery of the fact that the sausage was beer batter and fried but once I bite into it all my reservations dissolved away. It was wonderful. The sausage was sweet and the batter gave a perfect crunch to it that added to the taste. The fries were perfectly cooked. The baked beans were very sweet and runny (I prefer my baked beans not as sweet and thicker) but the taste was average. pieces of beef braised in Guinness stock with diced carrots, onion, leek and celery and was served over traditional champ potatoes. The pieces of meat were tender and very plentiful. The consistency of the stew was perfect and not overly thick or runny. These dishes from the James Joyce Irish Pub and Restaurant menu are contributed by Menuism users directly, as part of a restaurant review, or as part of a photo upload. 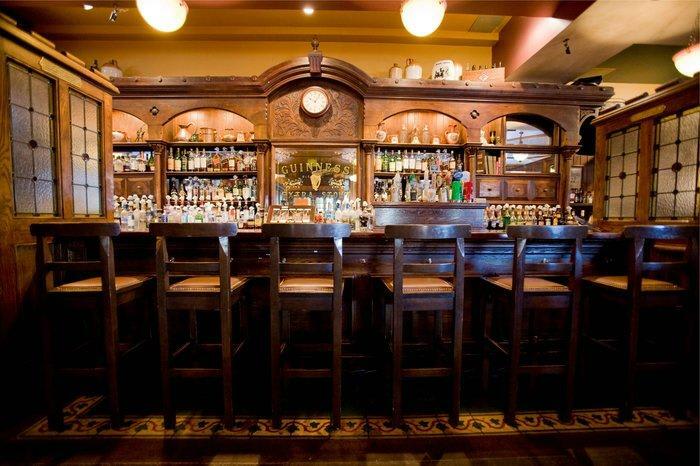 Do you own James Joyce Irish Pub and Restaurant? Contact us to connect with your diners. 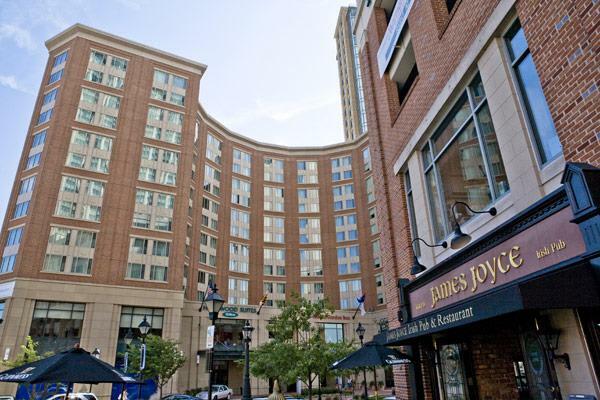 James Joyce Irish Pub and Restaurant is located near the cities of East Case, Fells Point, Canton, and Morrell Park. 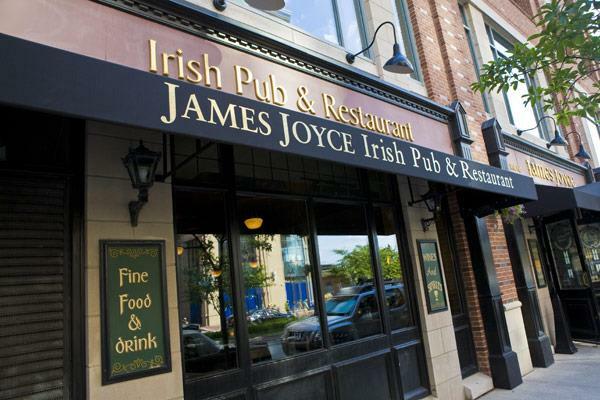 People found this by searching for: James Joyce Restaurant Baltimore Irish Stew, Recipes From James Joyce Pub Baltimore, Irish Bars In Little Italy Baltimoe,Md, Beef And Guinness Stew Recipe Like James Joyce Restaurant, Jamesjoycepubfellspoint, James Joyce Baltimore Best Pub Food, and Sample Of Reviews For A Irish Pub And Restaurant.